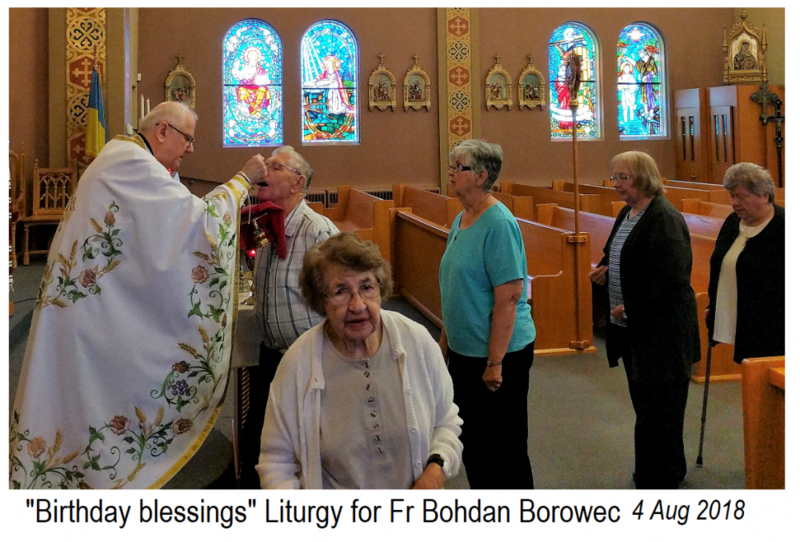 Father Bohdan Borowec came to Holy Eucharist Parish church in East Kildonan on Saturday 4 August to concelebrate the Divine Liturgy and join the weekday congregation for a breakfast. The parish often offers a Eucharistic liturgy intention for individual members of the clergy on the occasion of their birthday or anniversary of ordination. During the 2009-2010 Year for Priests, many days were filled with intentions for all the clergy of the Archeparchy and for many other priests living and deceased that the parishioners wanted remembered in their prayer. 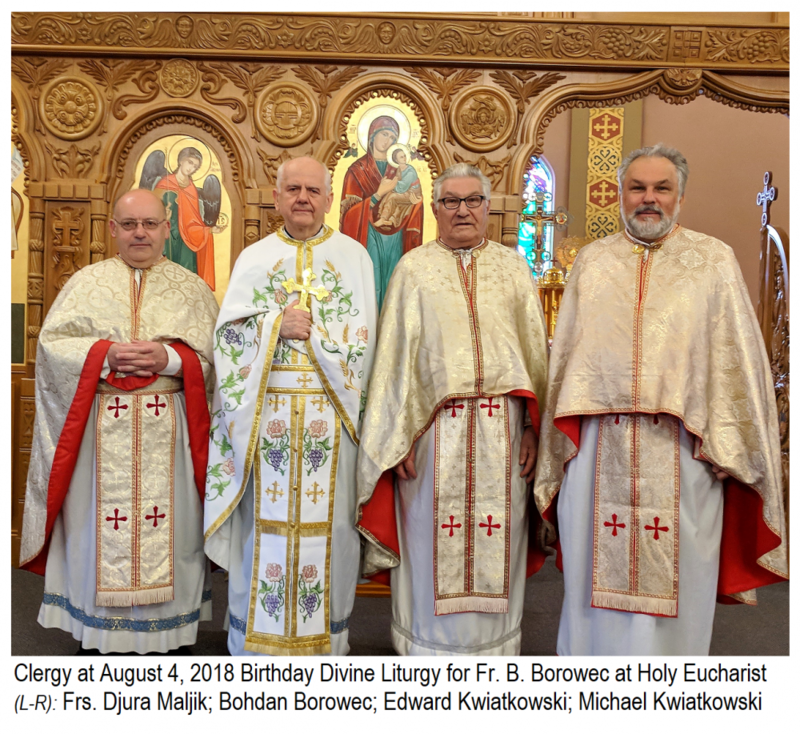 Well, on Saturday morning the Liturgy intention was for "Birthday Blessing for Fr. Bohdan Borowec" and he agreed to come for the occasion. At the close of the Liturgy and after the "Mnohaya lita! ", Fr. Bohdan thanked the people and spoke a few words about his vocation journey and his arrival in Canada. The group went over to "The Katchka", i.e. the local restaurant "The Thirsty Duck" where parishioners often gather after church services for a coffee, for some breakfast and a bit of a birthday celebration. During the meal, Fr. Bohdan shared many stories about his faith journey, about the life of the Ukrainian Catholic Church in Poland where he grew up and, again, more about his vocation journey. 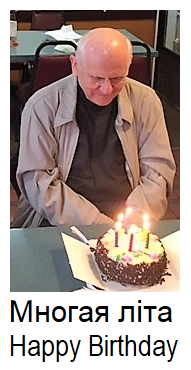 Everyone was enwrapped with his accounts of life in Communist Poland and how he managed to leave to get to Canada. A chocolate birthday cake was enjoyed by all and some of the other customers joined in the second "Mnohaya Lita" and "Happy Birthday".